Black metal jugs or pitchers come in four sizes. Here we have the two larger - 12mm and 9mm tall. 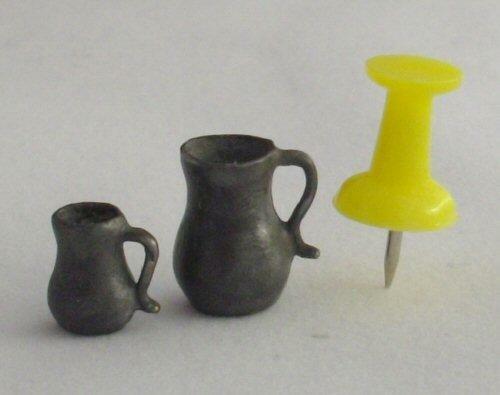 These could have many uses in your 1/24th scale miniature tudor dollhouse or diorama, including water, wine or milk. 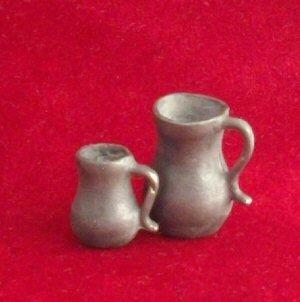 The two smaller jugs have been listed as 1/48th but can be used in 1/24th. See the related items below.